Get cleared FAST by our expert drain technicians. See how we can help you . We're Victoria's most experienced drain inspection company. With inspections starting at $189.99*, see what an inspection includes. We can fix it, that's our speciality. Call or email now for an EXPERT opinion. Don’t be held hostage by a wet or leaky basement. We specialize in keeping the rainwater out and the dry in. From initial inspection to partial or complete drainage repair / replacement. We handle it all from start to finish. This old practice is making a comeback on Vancouver Island. But to do it right requires special expertise. We’re professional drainage and waterproofing technicians who specialize in solving rainwater and drainage problems. Whether it’s a plugged perimeter drain, leaky basement, failing foundation, or cracked driveway, count on us to do the job right the first time. Our low overhead structure, turnkey service, and industry-leading warranty means you’ll get premium workmanship without the premium price. 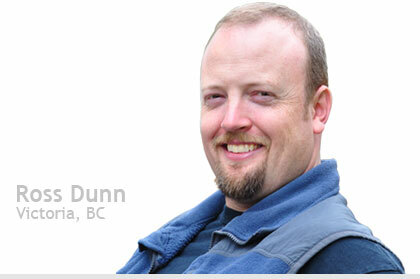 Find out why we’re the first choice for clients from Victoria, Nanaimo, Duncan and beyond. Jump into one of our core services below. Read the rest of this client’s story and our other case studies here.